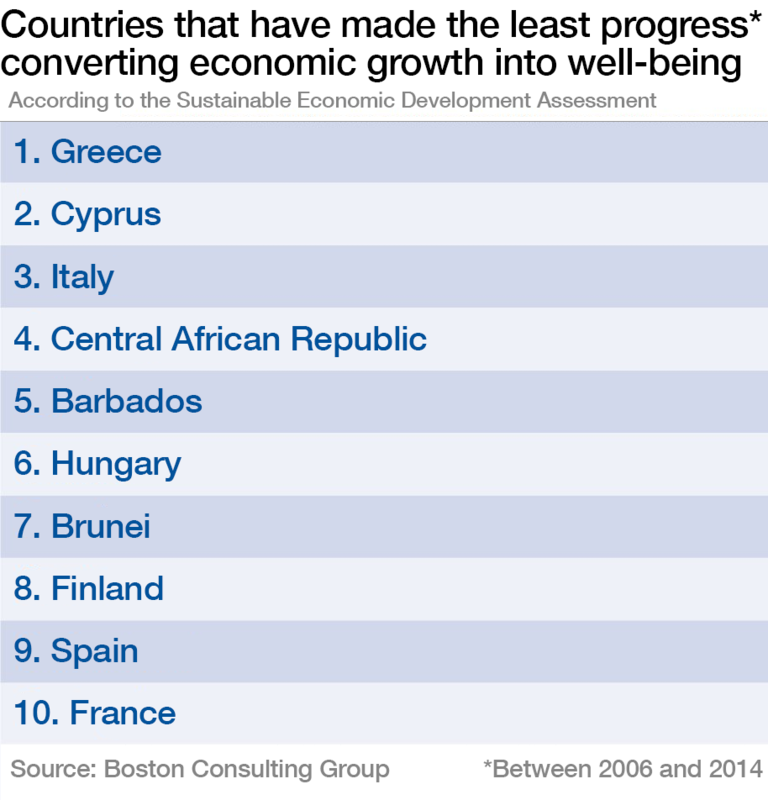 Which countries are best at converting economic growth into well-being? Economic growth is a key topic at the World Economic Forum's Annual Meeting 2017. Watch the session on 'A Positive Narrative for the Global Community' here. It’s been described as one of the most important numbers in economics. It’s also one of the most controversial. For while gross domestic product is great at measuring the goods and services produced by a country, it does a pretty shoddy job of capturing the things that actually matter to most of us. After all, what good is a booming economy if very few people benefit from it? But while most experts agree that GDP has its limitations, nobody quite knows what to replace it with. 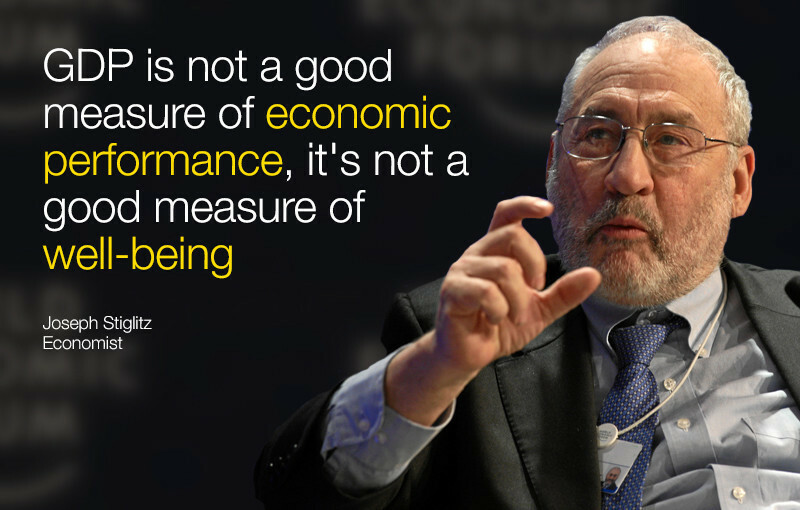 If GDP is a poor assessment of the things that matter, what could be a more accurate measure? How can we determine which countries are not only thriving, but also managing to convert this economic growth into well-being for their citizens? Researchers at the Boston Consulting Group have found an alternative: the Sustainable Economic Development Assessment. 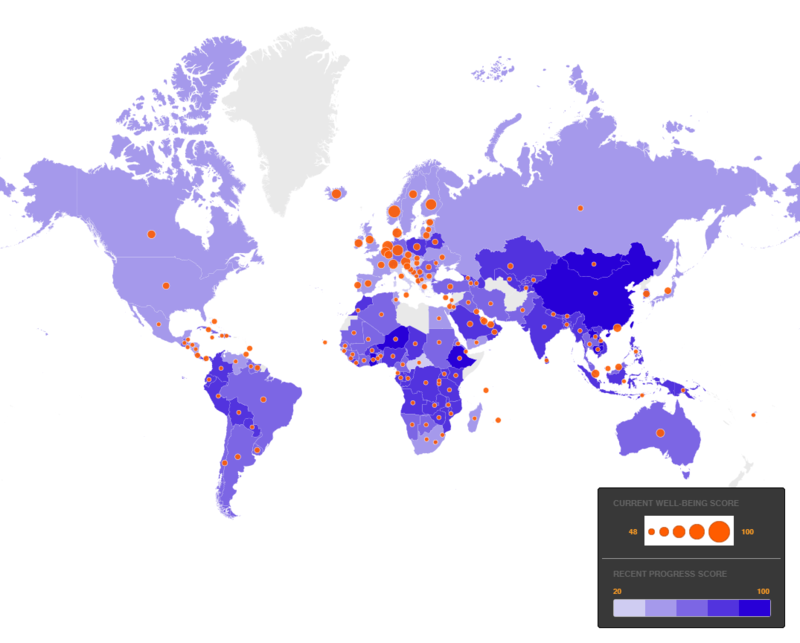 The index tracks 160 countries across three elements: economics, sustainability and investment. These elements are made up of 10 dimensions, which include factors such as income equality, health, education and infrastructure. By measuring how countries perform across all these dimensions, the SEDA establishes which countries are managing – or in some cases failing – to use both their absolute wealth and their economic growth to improve the lives of their citizens. The index not only ranks countries by current levels of well-being, it also looks at how much progress they have made between 2006 and 2014. 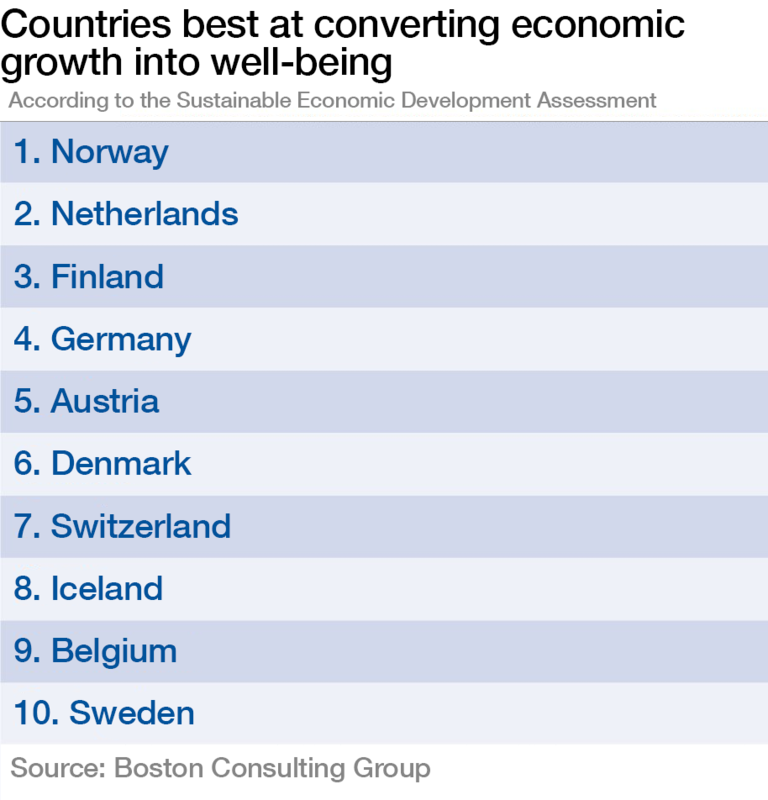 The countries featured at the top of the list that tracks current levels of well-being won’t come as a surprise. They include some of the richest nations in the world, such as Norway, Switzerland, Sweden and Luxembourg. In fact, the entire top 10 is made up of countries from Western Europe. But as Bloomberg points out in an analysis of the findings, when it comes to those countries that have been making the most progress since 2006, the results are much more interesting. Almost certainly because of its recent economic woes, Greece was found to be the country that has made the least progress since 2006. 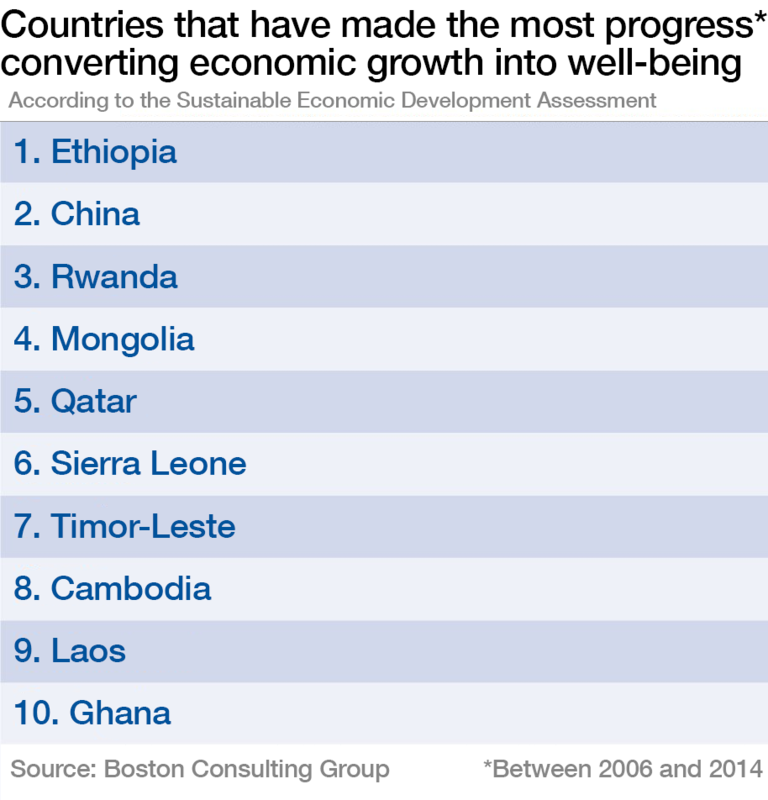 So what exactly is the secret to ensuring economic gains translate into well-being? The first thing to note is that policies implemented by government can and do make a big difference. The report’s authors singled out places such as Serbia, Croatia and Romania – all either recent additions to the EU or in the process of joining – as examples of countries that have made enormous progress over the past decade. This is, they argue, largely down to EU policies. Financial inclusion in particular was found to be one of the most important factors in ensuring economic growth positively transforms people’s lives. Some of the biggest global economic powers have a lot to learn from their smaller neighbours.